Time for SCALED ACCELERATION! 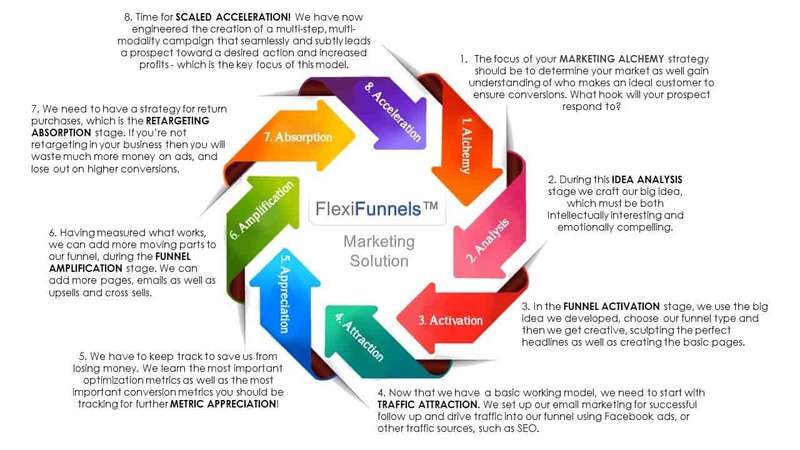 We have now engineered the creation of a multi-step, multi-modality campaign that seamlessly and subtly leads a prospect toward a desired action and increased profits – which is the key focus of this model. As soon as your new funnel is bringing you a return on investment (ROI) of break-even or better (profitable), we enter the final stage of our funnel. This is a unique stage because it’s the only point in our framework where your funnel remains in two stages simultaneously.